Before you throw the heater... Flash some leather... Make a circus catch or crush any dingers... You might need a little fine tuning. Rock 95 and Smith Brothers Baseball present: the Better Ball Player Giveaway! Where you could win a one year membership to Smith Brothers Baseball, including full use of the facility, 15% off purchases, 2 free 1hr Private Lessons, 6 Free day passes for a friend, the use of Hit Trax and hit-trax instruction and more! If that hits home for you or someone you know – sign up now by filling out the form below! 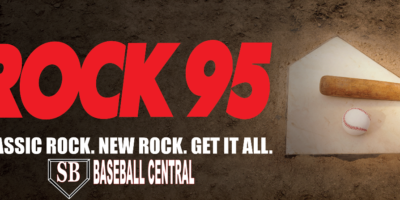 It’s the Better Ball Player Giveaway: From Smith Brothers Baseball and Barrie’s Rock Station – Rock 95.